Carson Creek Peak is the fourth highest summit in Ontario. 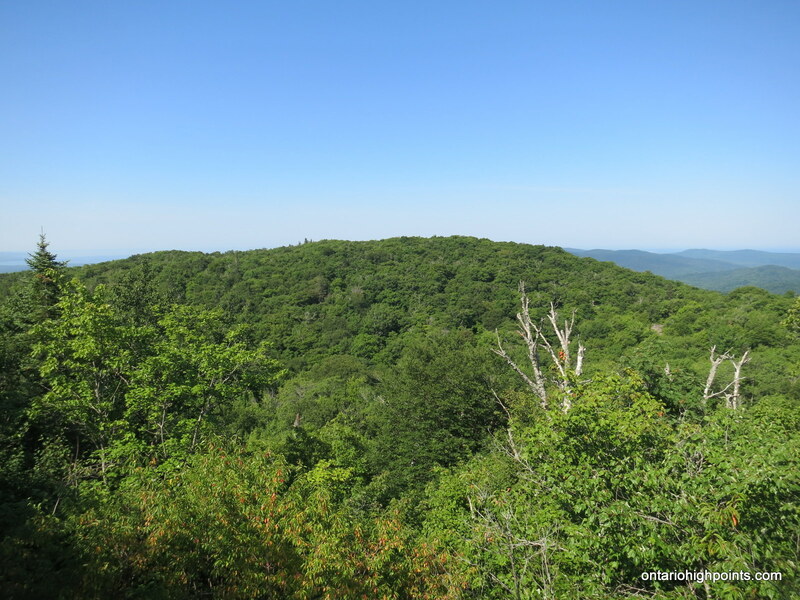 The peak is the second highest point along a ridge which runs northeast from Tower Mt. The Aldina fire tower still stands at the summit. Carson Creek Peak is the highest offroad accessed peak in Ontario. The title of Kenora District High Point is shared between 2 high point candidate areas who’s elevations lie within the margin of Ontario Base Map measurement accuracy. The High Points form part of the highlands located near the head waters of the Turtle and English Rivers about 27 km southwest of the small community of English River on Hwy 17. Fishing is the dominant recreational activity in the area and access to the lakes is provided by the numerous bush trails and logging roads (active logging operations active). There are no views at the High Points, but the route passes many photogenic lakes along the way. Mount McKay is the northernmost peak in a range known as the Nor’Wester Mountains. Located south of Thunder Bay, Ontario on the Indian Reserve of the Fort William First Nation, McKay was originally known as the “Thunder Mountain” (Animikii-wajiw in the Ojibwe language). 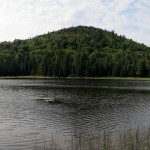 The mountain is used by the Ojibwe for sacred ceremonies. A lookout exists on the lower eastern plateau at an elevation of 300 metres (980 ft), providing a view of Thunder Bay and the city’s harbour. There is a path on the southeastern face of the mountain that can be used to ascend the mountain. The Sleeping Giant is a formation of mesas and sills on Sibley Peninsula which resembles a giant lying on its back when viewed from the West to North-Northwest section of Thunder Bay, Ontario, Canada. 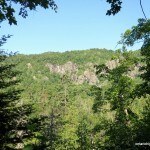 When measured from the elevation at Lake Superior (600 feet) to the highest point (1847 feet), The Sleeping Giant has the highest vertical rise in Ontario (1247 feet). 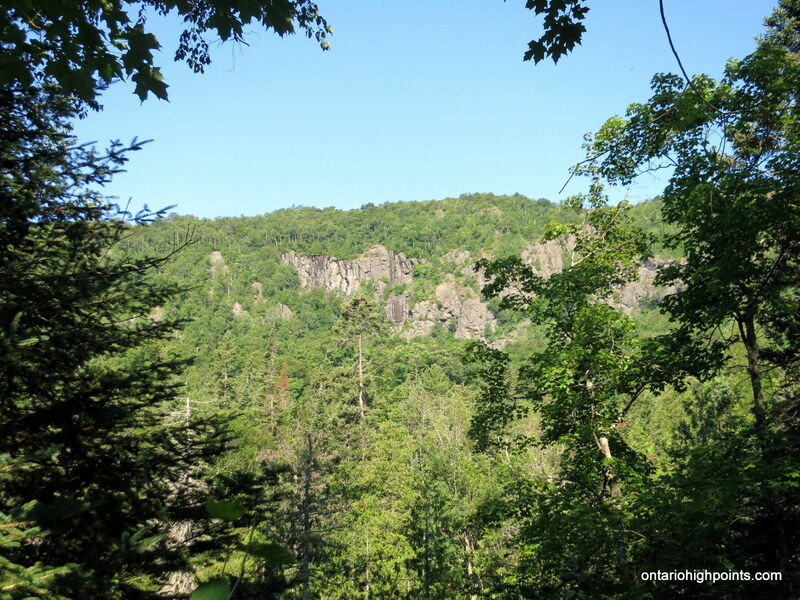 The most popular destination on the Sleeping Giant is the Chimney Lookout on the Knees which overlooks Lake Superior and spectacular rock formations. The highest point is on the Chest and it is 600 m away from the Chest Trail which leads to the Nanabosho Lookout. The highest point along the trail system is along this trail, just a 100 m from the lookout. 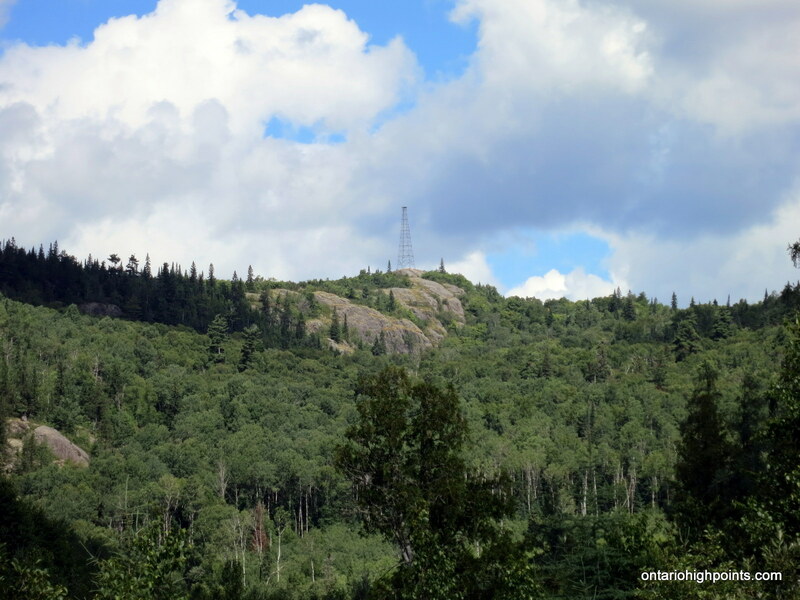 Located in the region of Greater Sudbury, Labelle Lake Peak was once home to both a ski hill and the Lumsden fire tower. Today, the only reminders of these structures are the rusted remains of the ski lifts and the deteriorated footings of the fire tower. 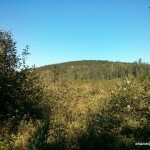 It’s a short trek from Nelson Lake Road to the summit which provides an excellent vista of the Sudbury Basin. Rising 1000 feet above the Goulais River Valley, King Mountain was once the location of a fire tower that was part of Ontario’s forest fire detection network. Although not the highest point along the ridge on which it sits (A hump further east at N46 47.857 W84 17.055 is slightly higher), the peak is the principle destination in the area. This is due to the extensive ski and snowshoe trail system in and around the peak and it’s close proximity to Sault Ste Marie. In the winter, the cross-country ski and snowshoe trails are groomed and maintained by the owners of Stokely Creek Lodge; in the summer, although the Lodge is usually closed, the trails are open and free to use for hiking. 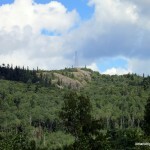 Mamainse Hill is a prominent hill located 10 km north of Batchawana Bay, Lake Superior. It is flanked by steep pitches on 3 sides with high cliffs on the east and south sides. When viewed from nearby Carp Lake Road these cliffs are imposing and impressive. 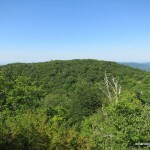 It is a treed summit, but it is a short bushwhack to the good views on top of the eastern cliffs. Grey Owl peak, named after nearby Grey Owl Lake (2 km west) is a remote Algoma Peak which affords outstanding views of the area. From the summit, many of the high Algoma hills are visible, including Alvin Lake Peak, Ogidaki Mt., Griffin Lake Peak and Batchawana Mt. 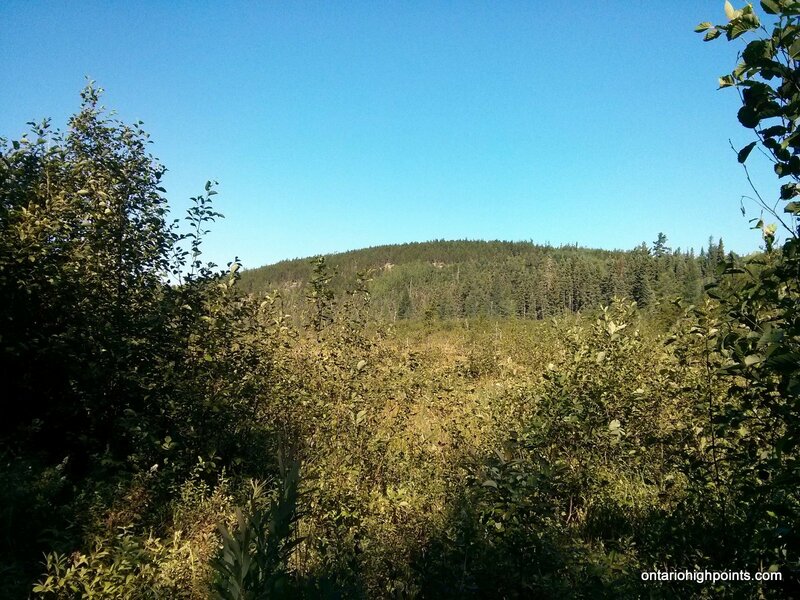 Even though the Peak is less than a 1 km bushwhack from a road*, due to the distance from from a major road (55.8 km away from Hwy 17), it is a difficult mountain to access. As the Ontario Basic Mapping (OBM) series maps show a 640 meter contour at the summit, this peak meets the Ontario 2100 footer list criteria.